NAIROBI, Kenya — The Latest on the extremist attack on a hotel complex in Nairobi, Kenya. Kenyan President Uhuru Kenyatta says authorities will “pursue relentlessly” those allegedly involved in the funding, planning and execution of Tuesday’s attack on a hotel complex in the capital, according to a live broadcast by Citizen Television. President Kenyatta said that security forces had killed all four militants who stormed an upscale hotel complex in Nairobi the previous day, in an attack that killed at least 14 people. He said over 700 people have been evacuated to safety by rescue teams. Al-Shabab — the Somalia-based Islamic extremist group that is allied to al-Qaida — claimed responsibility for the carnage at the hotel complex, which includes bars, restaurants, offices and banks and is in Nairobi’s well-to-do Westlands neighborhood. An injured member of the Kenyan Special Forces has been taken from the scene of Tuesday’s attack in an ambulance. 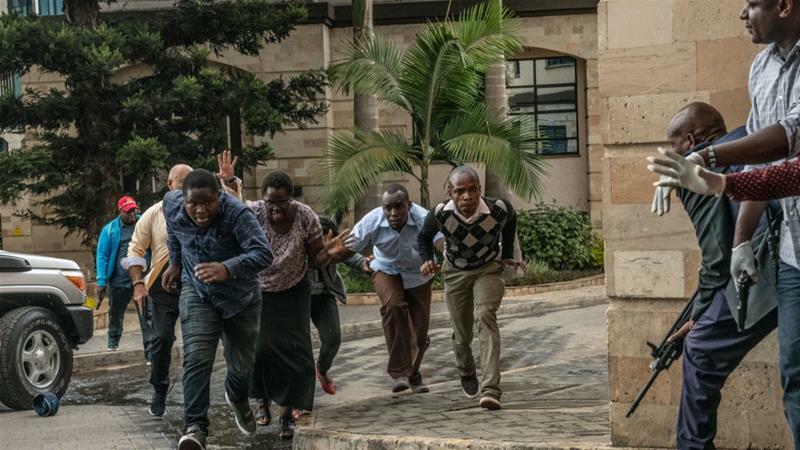 Kenyan police said early Wednesday there was still an active security operation ongoing after they announced overnight that all buildings in the hotel complex had been secured. Sporadic gunfire still rang out through the morning. CCTV footage owned by local media in Kenya purports to show at least four gunmen storming the hotel complex Tuesday afternoon. At least 15 people have been killed in the attack claimed by the Somali Islamic extremist group al-Shabab. Dusit International, managers of the Nairobi DusitD2 hotel, says in a statement Wednesday it is “in constant contact with the authorities and would like to thank them for their swift response.” The statement said the hotel is closed and guests and those with reservations have been found accommodation in other hotels in Nairobi. 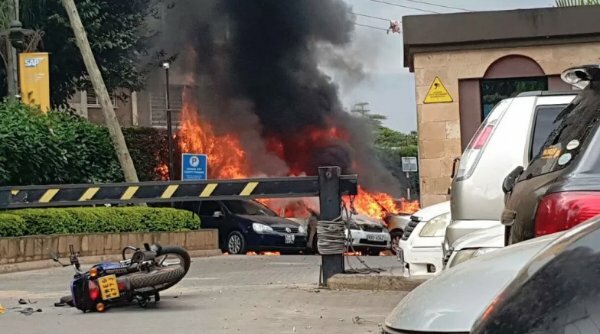 Al-Shabab — the Somalia-based extremist group that is allied to al-Qaida — claimed responsibility for the carnage at the hotel complex, which includes bars, restaurants, offices and banks and is in Nairobi’s well-to-do Westlands neighborhood. At least 15 people were killed in the attack which started Tuesday afternoon.